In September this year I started as Manager Operations of Scannexus. As probably many of you already know I am also working at the department of radiology at the MUMC (Maastricht University Medical Centre), and I like to bring those worlds together! So, why I accepted the new job? Because Scannexus is a great platform with many opportunities! Working together with the MUMC and the Brightlands Maastricht Health Campus creates a lot of opportunities. 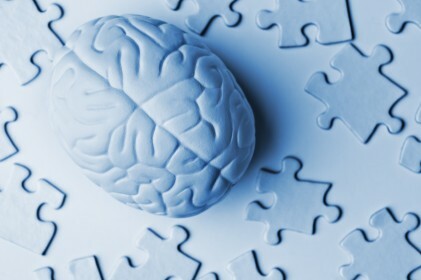 Today, Scannexus’ business is still mainly focussed on Brain and Brain related research and development projects. Now we want to go further and combine our knowledge and expertise on the campus to expand the research and business possibilities broader within other parts of the body! My mission is that we join forces to learn from each other to excel, to combine our strengths and build on the future of “Imaging Valley Maastricht”, an imaging community that is unique in the world. On the Brightlands Campus Maastricht, Scannexus increasingly becomes an integral part of the knowledge structure. Thus, the new CEO of our company, Albert Scherpbier, also dean of the Faculty of Health, Medicine and Life sciences (FHML) and the manager operations, Kim Feron, from the radiology department of the MUMC. Together we want to expand the unique scanning facilities from Scannexus to a broader community of academic institutions, hospitals and businesses in Europe and far beyond. We have a 3 Tesla, a 7 Tesla and 9.4 Tesla MRI scanner. Especially the 9.4 Tesla is special because there are only four of them in the world and only three are operational. Beside the 9.4 Tesla from us they are located in Tübingen (Germany) and Chicago. The presence of such state-of-the-art scanners for people connected with our expertise makes us very distinctive. A position that we still want to use more. 'Click' on the article to read the complete interview, from the magazine BiotechNews & Life Sciences, which is unfortunately only available in Dutch. “The brain – an apparatus with which we think that we think” was how Ambrose Bierce satirically referred to that lump of matter that we carry around in our skulls. It gives rise to all that we experience, perceive and remember. It is what generates all that what makes us “us”. In the current scientific era, state-of-the-art MRI-scanners and sophisticated data analysis techniques have the potential to give us unprecedented insights into the workings of the brain and the mind. As various fields increase their interest in neuroimaging, it is of importance to combine efforts and to share knowledge. That is exactly how I see my position within Scannexus. I have obtained a PhD in cognitive neuroscience in 2013, after which I worked as a post-doctoral research fellow at the University of Leuven for three years. During my research, I realized that my passion lies in designing cool experiments and building statistical pipelines for functional and anatomical imaging data. My goal within this company is to translate innovative ideas into optimal designs, to analyse the data using the most powerful models, and to discuss the results together with the researcher. I am looking forward to joint ventures that will shape our understanding of the brain. BNN at Scannexus – What is fear? "Proefkonijnen" is a Dutch TV-program about fascinating science intended for a young and broad audience. What could be more fascinating than our brain? The hosts of Proefkonijnen, Geraldine and Jan, came to Scannexus a few weeks ago to get their brains assessed. The question they had for us was: What is fear? How does it work in our brain? And what makes some persons more fearful than others? These are the precise research questions that the research group from Smartscan is interested in. This research group, from the Department of Psychiatry and Neuropsychology (FHML) is investigating the neural mechanisms of how we acquire fear and how we can ‘unlearn’ fear. They hope that this research will increase the understanding of why some individuals develop excessive fear and anxiety, and why some people respond better than others to psychological treatments. To assess how the brain of the TV-hosts processed fear-evoking stimuli, scary horror movie scenes were presented within the MRI scanner. Furthermore, they showed the hosts some movie fragments of heights, as one of them (Geraldine) is very afraid of heights. Physical responses were measured via heart rate and respiration. The outcome of the tests will be shown on TV between January 16-March16. Related to the questions of BNN, the research group from Smartscan is currently conducting a large-scale study, in which they evaluate the effects of psychological treatment for phobia on fear mechanisms in the brain. They are still looking for young people (age 16-25) with a spider phobia. If you are interested in their research, feel free to contact Iris Lange (Psychologist and Researcher). NWO is very impressed by our facilities. To realize its task, the committee will make an inventory of all large-scale research facilities (in the Netherlands and abroad) that are available for Dutch researchers and strategically establish the needs that exist for new facilities. This inventory will guide the update of the National Roadmap for Large-Scale Scientific Infrastructure. The roadmap will contain existing and still to be developed large-scale scientific infrastructure, which are vitally important for the development of science in the Netherlands. The visit at Maastricht Health Campus was on November 10th. Where the committee visited some unique companies at the campus; Scannexus, Metabolic Research Unit Maastricht (MRUM), Maastricht MultiModal Molecular Imaging Institute (M4I) and Worldcat. At Scannexus we served them with a tour at our scanning facilities and told them about some projects that we scan nowadays. The first feedback that we received at the end of the day was: The committee had a good impression and a perfect tour. They are very impressed and the 9.4 T should be the national reference center. Scannexus will join the 102nd edition of the Radiological Society of North America (RSNA) annual meeting, with this year’s theme ‘Beyond Imaging: Maximizing Radiology’s Role in Patient Care’! RSNA is the world largest Radiology conference and will be held from November 27 till December 2 in Chicago. RSNA convenes radiology professionals from around the globe to gather knowledge through educational courses, explore the latest innovations presented by technical exhibitors, discover ground breaking research from scientific paper presentations, and participate in networking opportunities.